Coaching is an excellent follow-on to any leadership development program. 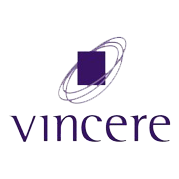 Vincere Coaching works with companies to provide coaching after external or in-house leadership programs. The coaching process supports the experiences learned in the training and helps to ensure application of the lessons in the workplace and achieving true ROI. We work with executive teams (both in group and individually) to help them be highly effective in achieving their goals. The process will help the team play to their strengths, orient towards potential and work towards unified goals as well as focus on individual development. We offer 1-1 executive coaching for senior leaders who are passionate about wanting to reach their greatest potential. Our executive coaching programs are for 6 months duration so that each individual can create the sustainable change they want for themselves and/or their team and organization.